Looking to turn your summer photos into an original music video? 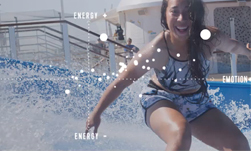 Royal Caribbean International recently announced SoundSeeker, an AI-based tool that allows people to create stunning vacation videos accompanied with new and innovative music. The international cruise company worked with three different collaborators, including Berklee College of Music in Boston, UNIT9, a production studio In London, and Plan8, a music and technology company based in Stockholm to develop the system. 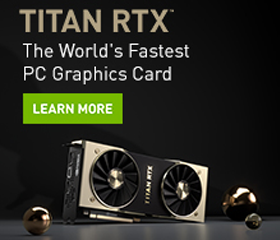 Using NVIDIA GeForce GTX 1080 Ti GPUs, and the cuDNN-accelerated TensorFlow deep learning framework, the developers, trained their neural network on more than 600 hours of music tracks which were matched with 10,000 photos categorized into ten different moods. Once trained the neural network created 2.5 million different combinations, the developers said. The system is simple to use, travelers upload three photos to the system and the AI goes to work. Once the AI has matched the pictures with a specific mood, users can share the newly created 30-second music video with family and friends. “By harnessing AI to develop customized soundtracks for treasured memories, together, we have created a new way for people to share their experiences with one another,” said Panos A. Panay, Berklee vice president for Innovation and Strategy and managing director of BerkleeICE.